Find out about requirements (including credit scores), guidelines, rates, loan limits, how to qualify and how to apply for an FHA Loan. This post is limited to qualifying for FHA loans as a home buyer – First Time or repeat. Click on this link if you are interested in reading about FHA Streamline Refinance. Federal Housing Administration (FHA) Loans are insured by Housing and Urban Development (HUD) which allows lenders to offer low downpayment loans to homebuyers like you. FHA loans have been helping people become homeowners since 1934. FHA insures loans for first time home buyer mortgage loan, FHA streamline refinance, FHA regular refinance, Cash-out refinance and also home purchase by people who are NOT first time home buyers. 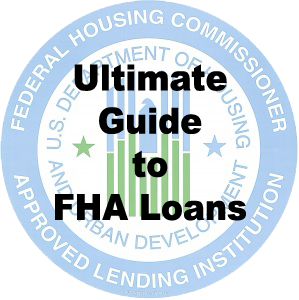 FHA however doesn’t provide loan directly. You need to work with an FHA approved lender like Arcus Lending to qualify for the home purchase or refinance loan. What is the credit score requirement for an FHA Loan? While FHA guidelines allow for much lower credit scores, most of the lenders require a minimum of 640 fico score. How to qualify for an FHA Loan? Property must be owner occupied. FHA loans are available for 1-4 units houses including single family residence, town-homes, condominiums and even manufactured homes. A minimum downpayment of 3.5% is required. The downpayment can be gifted from parents, children, siblings or other close relatives. Impound account is required on all FHA loan. As part of impound account, payment for property taxes and home insurance are broken down into monthly payments and are paid to the lender along with mortgage payments every month. The lender then makes a payment directly to county or your home insurance company when its due. A two years employment history is required. However, if you went to school immediately prior to starting your employment, the school years can be counted towards “two years” requirement as long as your job is in the same field as your education. You should have enough income to meet the maximum debt to income ratio requirement of 43%. In some cases, that ratio can be allowed to as high as 50%. Upfront mortgage insurance (UFMIP) of 1.75% and annual mortgage insurance of 0.25% – 0.65% is required on all FHA loans. For mortgage insurance premium rates and calculator, check this post. FHA offers 30 year fixed, 15 year fixed and 5 year ARM loan. What are FHA Loan limits? For 2017, the FHA national “floor” loan limit for 1 unit house is $275,665. This means that all counties in the country will at least have this as their loan limit. FHA also classified several counties as “high-cost” meaning the loan limits in those counties are higher than $275,665. The maximum loan limits in some counties can be as high as $636,150 and in other counties it’s between the floor i.e. $275,665 and the highest loan limit i.e. $636,150. Click here to find out the FHA loan limit for your county. How to apply for an FHA Loan? To get an FHA loan you need to work with an FHA approved lender. If you want to work directly with me to get pre-approved or get a rate quote you can complete the FHA rate quote form here or complete the full loan application here.